NZ First leader Winston Peters says the Government was in danger of compromising with Fiji’s military regime and overlooking the fact that it was installed via the power of the gun. Speaking to Radio Australia he said the Government here was sweeping under the carpet the abuses that had occurred since military commander Voreqe Bainimarama seized power in 2006. “The current Government is in danger of compromising the stance we have taken all the way to the Commonwealth about tolerating this sort of behaviour from an administration that has been put there by the power of the gun,” he said. Peters was foreign affairs minister at the time of the coup and he said he had seen nothing to suggest Bainimarama would restore democracy. “I have not seen any compelling evidence that this is going to happen,” he said. Peters is this week launching a book by a New Zealand diplomat who died last year leaving behind a sharply undiplomatic report of how Bainimarama threatened “to get him”. Michael Green, who in 2009 as New Zealand High Commissioner to Fiji became the first New Zealand diplomat to be declared persona non grata when Bainimarama ordered him out of of the country, described the regime as one characterised by intimidation and thuggery. Peters described the book as testimony written shortly before Green’s death. “Given the importance to the people of Fiji and the Pacific, he probably felt it was necessary,” Peters said. Asked if Australia and New Zealand blacklisting of Fiji was simply pushing it toward China, Peters said the Tasman neighbours could always be held hostage to that kind of threat. 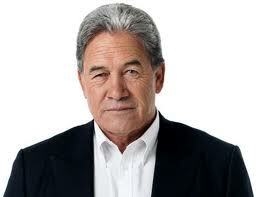 “In the end the Pacific people will have to make up their mind where there real long-term interests lie,” he said. Green, who died last year of cancer, writes of the secret advice he was giving Wellington during the 2006 democracy-ending military coup. His toughly-worded criticism of Bainimarama’s “volatile personality” is likely to anger Suva again. He said Fiji was “characterised by intimidation and thuggery, arbitrary and vindictive dismissals, abandonment of principles and personal betrayals, official misinformation and media censorship, and the deliberate perversion of state institutions”. One Response to "Peters: Govt sweeping Fiji abuses under carpet"
That sounds more like one of the 'first world' countries that sit back and judge Fiji from afar, rather than on actual facts and experience here. Fiji is growing and will continue to grow and prosper and this is due to the good and sound leadership of the Bainimarama government. Everyone here, Fijian or expat, will attest to that.